Harvard Business School Press, 9781633693869, 264pp. Based on the authors' experience and research with 1,500 organizations, the book reveals how companies are using the new rules of AI to leap ahead on innovation and profitability, as well as what you can do to achieve similar results. 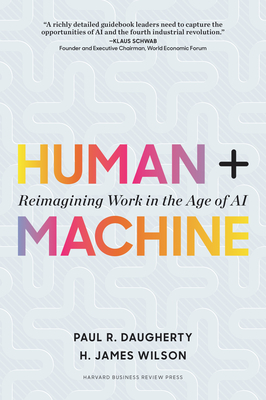 It describes six entirely new types of hybrid human + machine roles that every company must develop, and it includes a "leader's guide" with the five crucial principles required to become an AI-fueled business.